Treatment for uterine sarcoma often involves the surgical removal of part or all of the uterus, but chemotherapy, radiotherapy, or hormone therapy may be employed as well. The most suitable treatment for a particular individual depends upon a number of factors, such as the stage of the disease, tumor type and location, and age, reproductive plans, and general health of the patient. Similarly, the response of various individuals to certain treatments and their prospects for recovery are not always the same. Overall, however, about half of women diagnosed with stage I uterine sarcoma survive for five or more years after they are diagnosed with the disease. Patients who have more advanced cases of the cancer generally have a significantly worse prognosis. 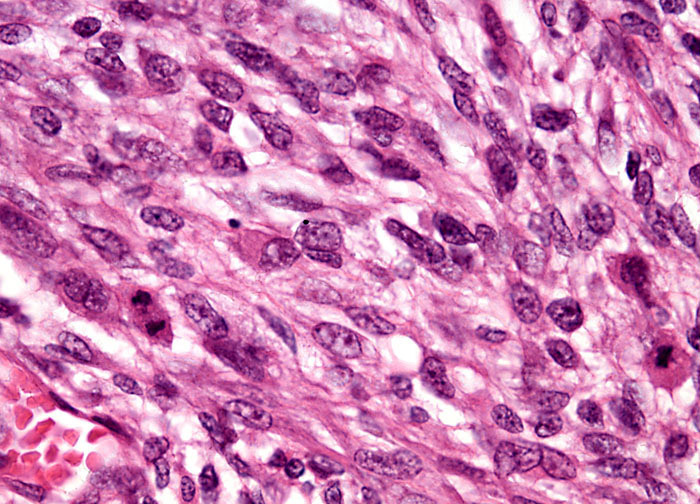 Both stage III and IV uterine sarcomas are associated with five-year survival rates of only about ten percent.